Silver Sands Casino has been working since 1999 which makes it one of the old-timers of online gambling industry. 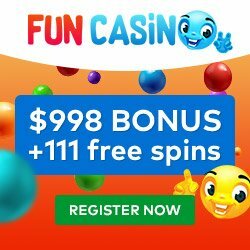 Successful activity for such a long period has become possible due to the high quality of the services provided, excellent selection of casino games, an impressive selection of various promotions, as well as other advantages that the casino has. We will start our Silver Sands Casino review from its design. The design of the site is not original. It is dominated by various shades of burgundy color and a large number of gold elements. The first look is attracted by a catchy logo and animated advertising banners. In general, the casino looks quite solid. Silver Sands Casino carries out activities under a license that the Kanavake Gaming Commission issued to Paxson Marketing Limited. The portal uses the software of Real Time Gaming, which is one of the leading manufacturers of software for virtual gaming. Games are offered in the downloadable version, so you will need to download and install a free client program. You can also play instantly in your favorite browser. It runs on all major operating systems. There is also a version of the site adapted for use on mobile devices running Android, iOS and Windows. The random number generator used in casino games is tested and certified by specialists of the independent organization called Technical System Testing (TST). Clicking on the company logo you will see the certificate that it issued. The institution also cooperates with iTechLabs. The administration of Silver Sands forbids registration to users from certain countries and territories. For a complete list of excluded states see the rules on the casino website. The site is offered in English, German, French and Spanish. Real Time Gaming products are well known to experienced Internet gambling users. In Silver Sands Casino it is represented by a wide selection of excellent video slots with various functions and classic gaming machines with three reels. Numerous table and card games, video poker and other genres are also available here. Particularly noteworthy in our Silver Sands Casino review is the selection of games with progressive jackpots. Right on the main page of the portal there is a window where you can see in real time the accumulated amount for the moment. Silver Sands Casino offers conducts numerous tournaments between customers on an ongoing basis. The most popular competitions of this kind are held on video slots. It is possible to test almost all games in demo mode for free credits. But this option is available only through the client program and after the registration in the casino. Most games have a wide range of bets. Loyalty program with accumulative points. 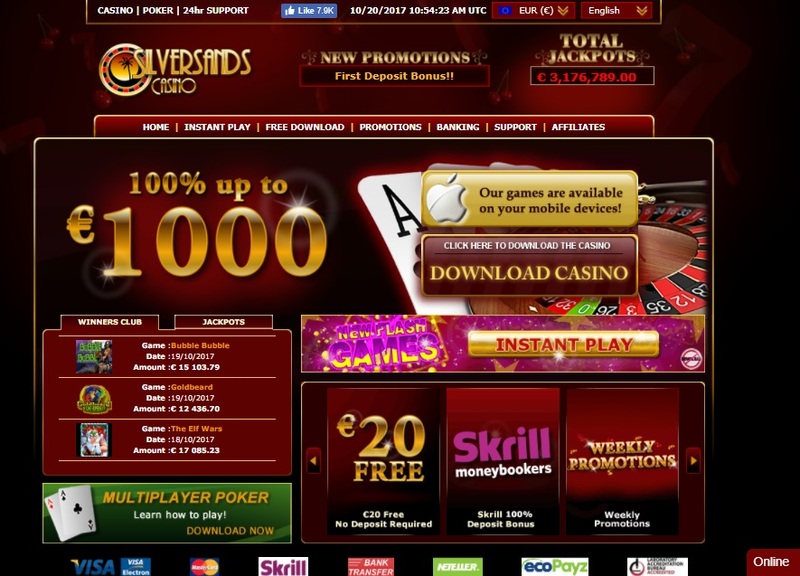 Also there are irregular bonus promotions held in the casino – all information can be found on Silver Sands Casino website. Do not forget that all the bonuses need to be wagered. The conditions of the wager are detailed in the rules. You can play in Silver Sands Casino for US dollars, British Pounds, Euros and Rands. Deposits can be made in various ways, including all the most popular credit and payment cards, Skrill, Neteller and bank transfer. Withdrawal of winnings is allowed through Visa, Skrill and bank transfer. The limits on the site are discussed on the Banking page. In the same place you will find more information about the timing of payments, the verification procedure and other important issues. All financial transactions of customers are protected with Secure Socket Layer technology. Third parties do not receive personal data of the players. Support team of Silver Sands Casino works 24 hours a day, 7 days a week. You can contact its employees by e-mail. The FAQ section is not very informative. It contains answers to only a few of the most frequently asked questions by customers. 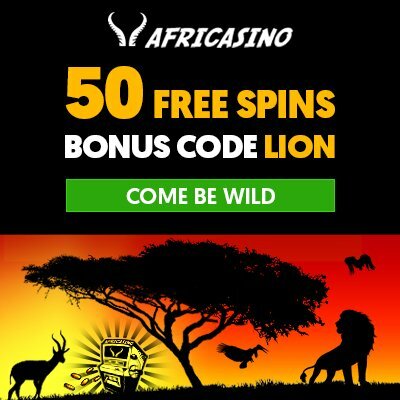 But on the site you will find very detailed instructions with screenshots explaining in detail how to register, install the casino, refill the account and so on. In addition, there is a description of the rules of all the games offered. If the casino has been working for more than fifteen years it means that it has something to interest the customers. Numerous advantages of the casino were discussed in our Silver Sands Casino review above so we will not list them again. We did not find any significant shortcomings, although one can find fault with a small choice of payment methods, not a very wide variety of gamesin some categories and some other aspects. Perhaps the main disadvantage is the ban on registration for players from many countries.